I've never visited Newport but seeing these photos make me wish I'd found a way to when I was in the area - it's so pretty! Newport looks so quaint! 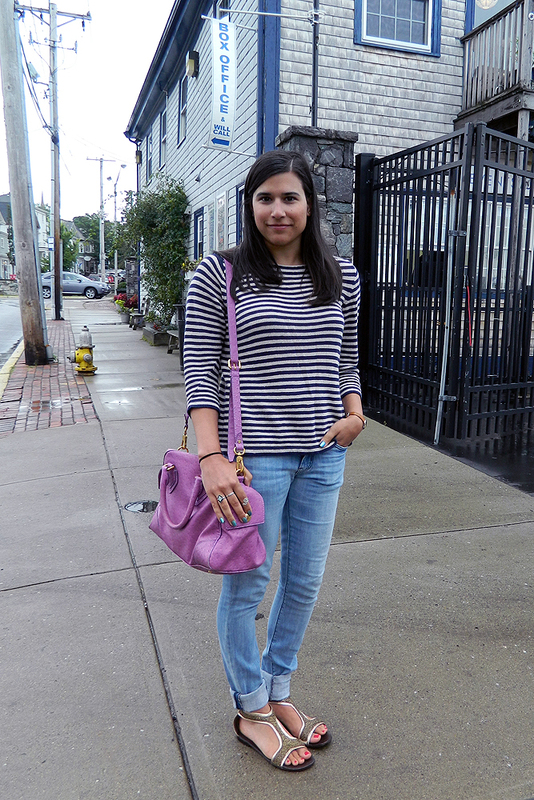 Love your striped sweater with the purple bag! Newport is such an adorable place, I visited about 10 years ago and I can't wait to go back after seeing your pics! sorry it was such a dreary, cold day, but you still look so cute in your stripes! So glad I saw this post! I'll be going to Newport tomorrow and will definitely be checking out the shops now! Looks so charming. Love your stripes!